Since its restoration on February 22 2013, Runescape the way it was back in early August 2007 has kept hundreds of thousands of players busy. With 449, 351 players voting for its return, old school Runescape will be subscription only for the first 6 months (5 USD per month) and currently sports a small but dedicated maintainance team. So what’s the fuss? What’s so great about it? Why bother? On the standard Runescape servers there are so many players with maxed out skills that making it to the hiscores just is not doable if you have a life outside of Runescape. On the old school servers anyone can make it to the hiscores within reasonable time, and even if it just lasts for a few days, at least you had your moment in the sun. Furthermore, the old school servers do not have a warped economy with mass produced rares held by those who do not deserve such riches. On the old school servers everyone is given a fresh start and anyone can become someone who matters without too much of an effort. In August 2007 there was no Grand Exchange in Runescape. To buy from or sell to other players on old school servers you must find your buyer/seller and agree upon a price. 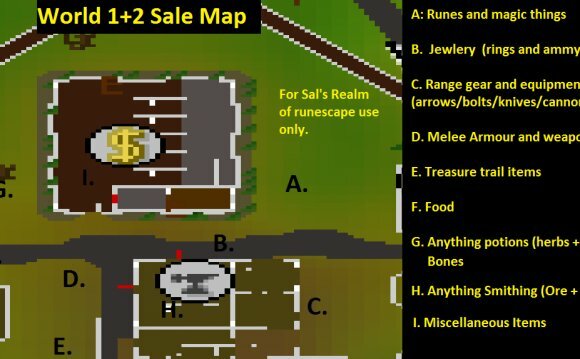 The standard market place is Varrock in world 1 and 2. However, players tend to trade whenever and wherever an opportunity arises. This may sound cumbersome to those used to the Grand Exchange but it adds so much depth to the game. In fact, it becomes a whole different game. It becomes a skill to know the price of items, where to trade for them, and how to read your fellow player’s mind. How much does he want the item in question? How much does he have to spend? How much of that can I get him to spend? The value of items is subjective and changes not only from player to player but also depending on time and place. To become a master merchant you must master both prices, players, time, and space. The grand exchange rendered this entire skill set mastered by tens of thousands of players useless. But now it’s in demand again. And that’s the way it should be.